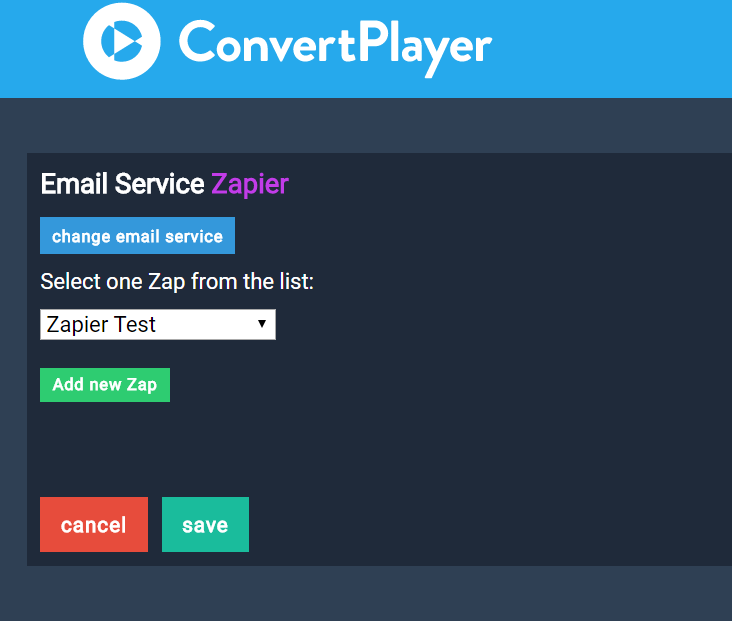 This is how to connect ConvertPlayer with Zapier and be able to send Opt-ins to more than one email lists. 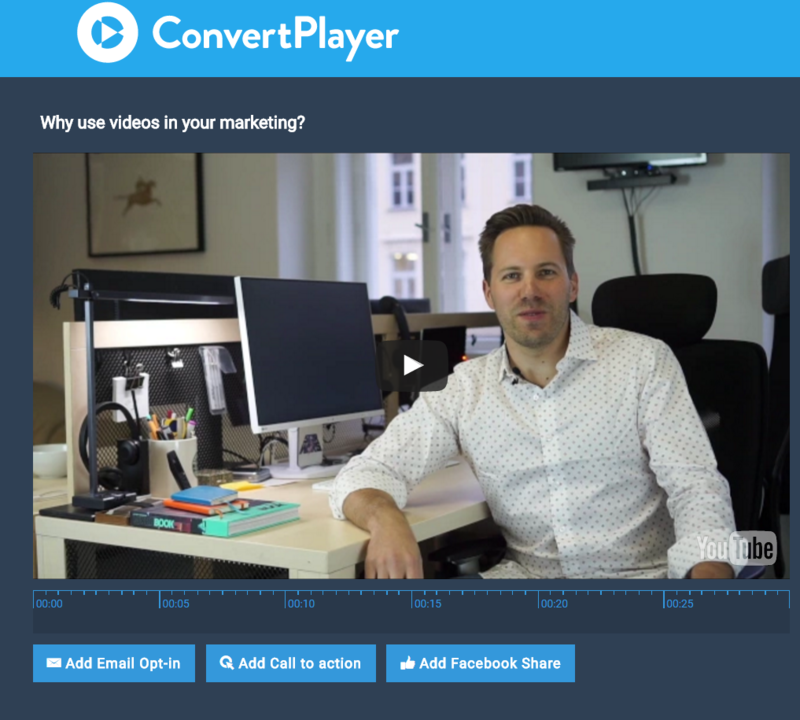 First of all you need to add email opt-in to your video inside ConvertPlayer. First time you're doing this you'll need to connect Zapier from the list of integrations. Start by clicking on "Add new Zap". That link you clicked on will take you to Zapier and create a ConvertPlayer trigger. This trigger will be launched every time someone opt's in to your video and you can decide what to do with the email from the opt-in. 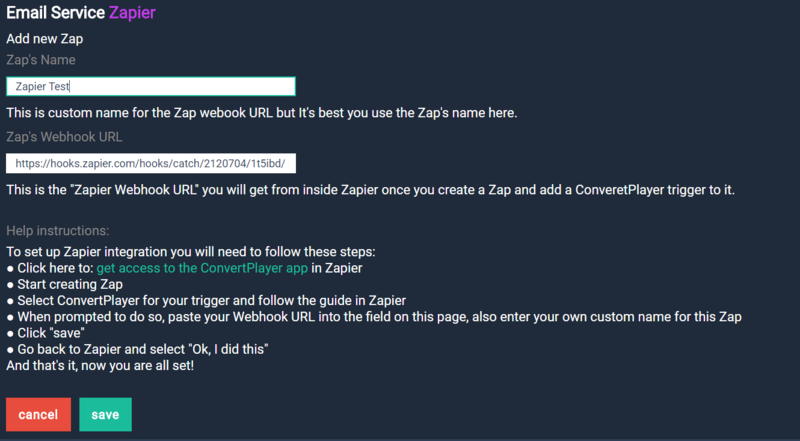 So once you have loaded it in Zapier click on "Save + Continue"
Copy the "webhook" url as you will need it next step where you will paste it to ConvertPlayer. Follow next step and once you have done it click on "OK, I did this"
This is inside Convertplayer. 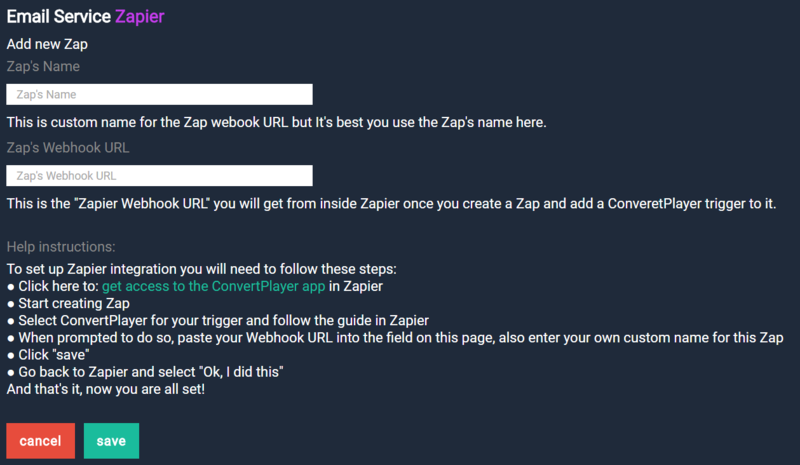 Set a name for the new "Zap", click on save and go back to Zapier to confirm next step. Now you need to add an "Action" to your zap. We'll use MailChimp this time, but there are unlimited possibilities to what you can do with the email opt-in. 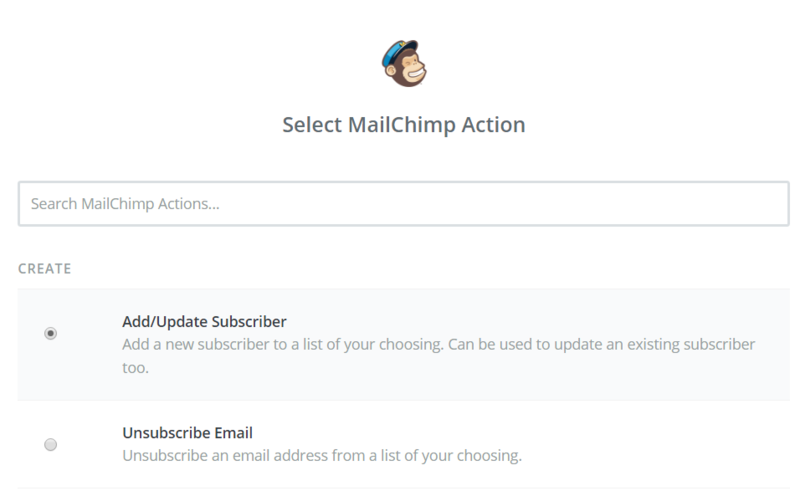 For MailChimp pick "Add/Update Subscriber" and continue. 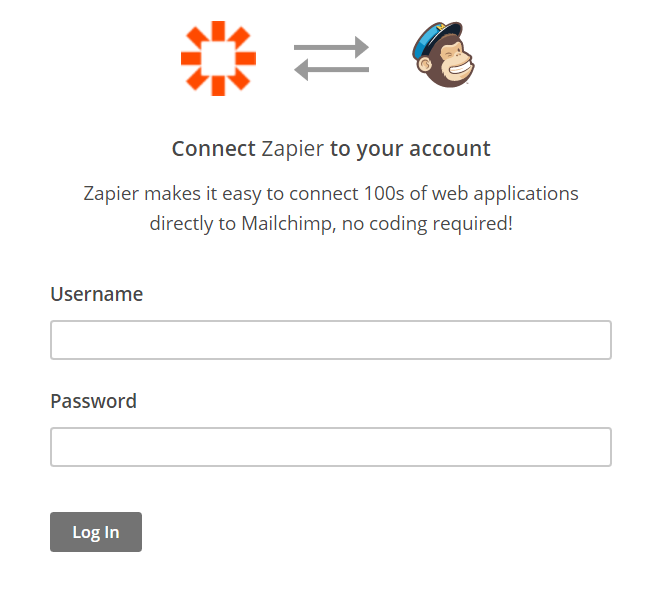 You'll have to connect your MailChimp Account to Zapier. 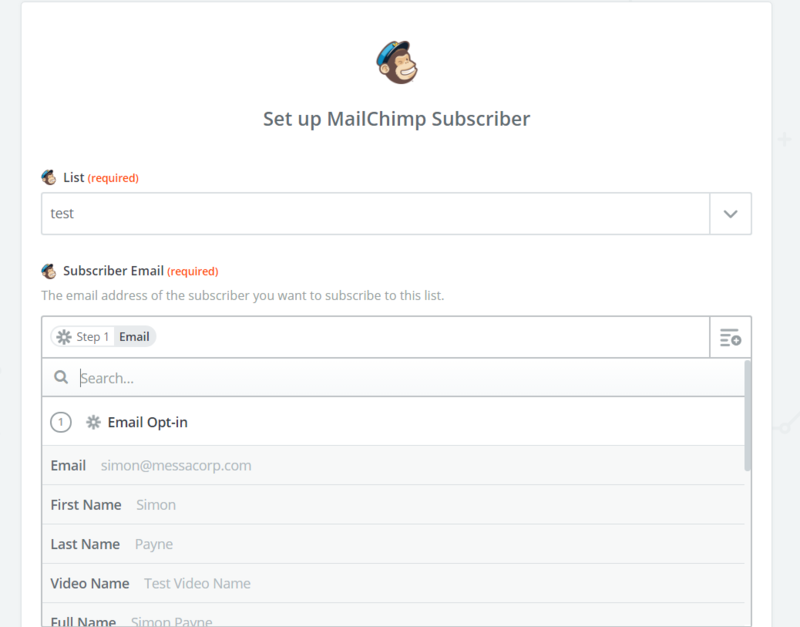 Pick the list in your MailChimp, connect email field and possible even name field if you have it enabled in ConvertPlayer. You will have several other information fields coming from ConvertPlayer like geo location and information about the video. Step 13. 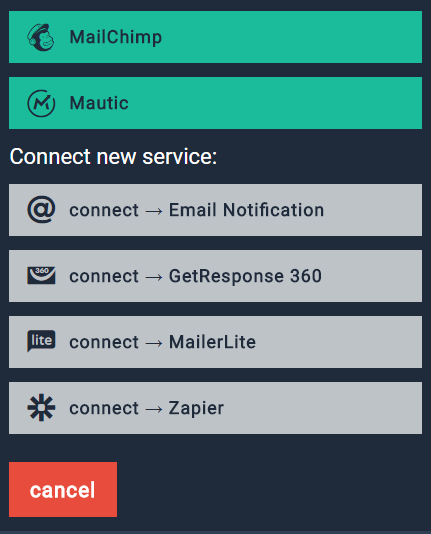 Zapier will test the connection and run one test to make sure it works. If your test was successful click on Finish. Turn your Zap On to make it work. 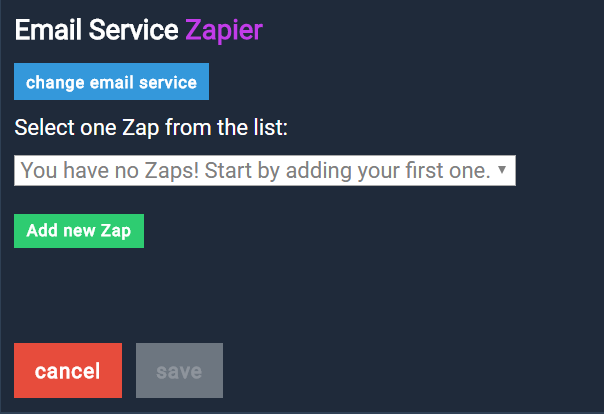 Select your Zap and start Collecting Emails by ConvertPlayer using Zappier!